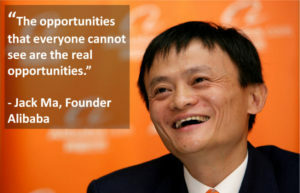 Jack ma is a founder of Alibaba company. 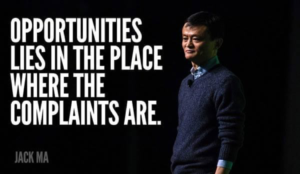 Jack ma faced many eliminations early in his life but he never let the elimination halt him. In 90’s he saw the opportunities and values of internet and worked hard to build websites for Chinese businesses. 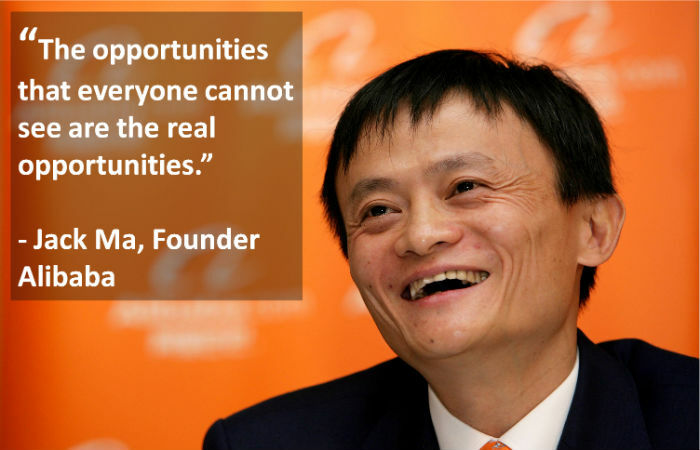 Later, Jack ma developed his businesses and make several other and later he built a multimillion dollar company called Alibaba. 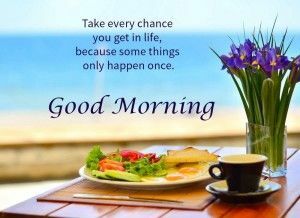 Once in your life, try something. Work hard at something. Try to change. Nothing bad can happen. A good job is not something you go out and find, it’s something you discover while you are working. 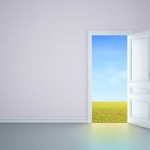 If you want to grow, find a good opportunity. Today. If you want to be a great company. Think about what social problem you could solve. We are never in lack of money. We lack people with dreams, who can die for those dreams. Don’t complain you can find opportunities. If you put bananas and monkey in front of monkeys, monkeys will choose bananas, because monkeys do not know that money can buy a lot of bananas. In reality, if you put money and health in front of people, people lend to choose money because too many people do not know that health can bring more money and happiness. 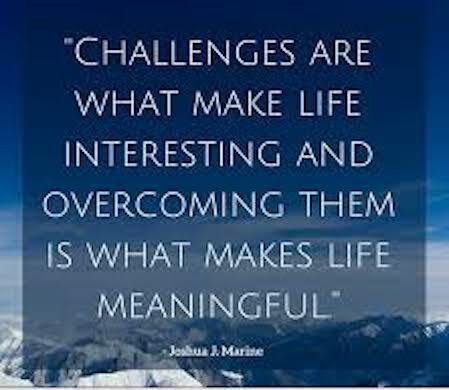 A leader should have higher grit and tenacity and be able to endure what the employees can’t. Many individuals complain about yesterday. But we don’t have power to change yesterday. But this exact day, 30 years later, is what we can control and decide. Change yourself, take baby steps, and stay determined for 10 years. I thank the times of transformation and everyone’s complaints. 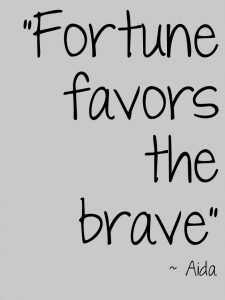 As when everybody is complaining, that is your fortuitous, an opportunity. It’s just in times of change that somebody can be clear of what he has and desires, and what he musts to give up. 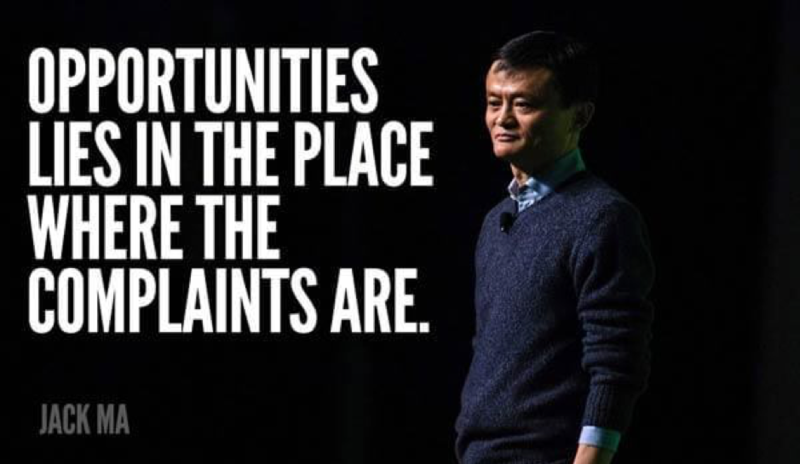 Opportunities lies in the place where the complaints are. 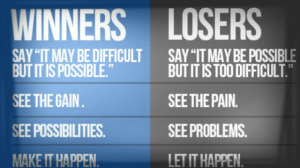 Top 11 points to success.